Employee Training concept. Magnifying Glass on Old Paper with Red Vertical Line Background. How Do You Decide Which Tasks to Cross-Train? Functions and tasks that are connected in some way are good candidates for cross-training, for example, sequentially, where an employee performs a task that precedes or follows the task for which he or she is being cross-trained. Focus on skills and knowledge that are most in demand in your work group or department. Make a list of potential cross-training tasks and review it with employees to get their input and suggestions, and to find out which tasks each worker would like to learn. 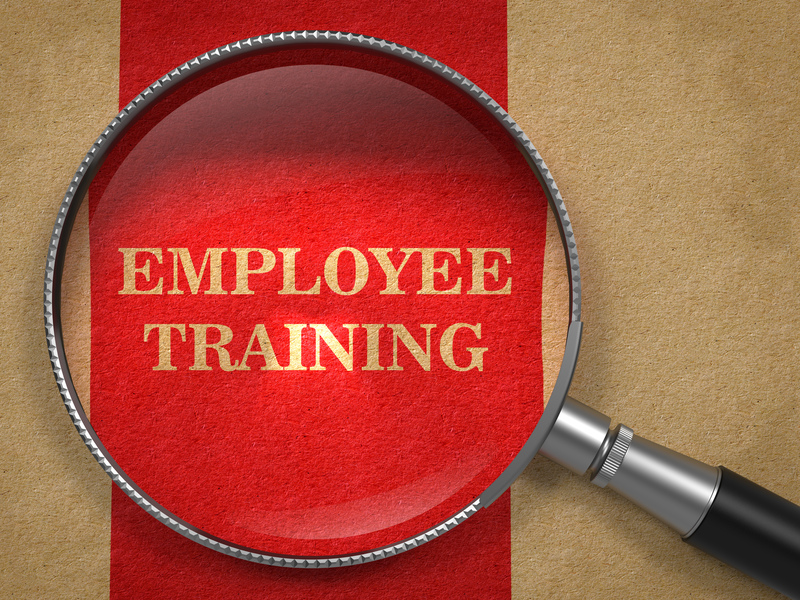 Talk to other supervisors and discuss cross-training opportunities for your employees. For example, if your work groups or department are performing complementary or related functions, cross-training employees will give them a better understanding of one another’s needs. What Are the Steps in a Cross-Training Program? Once you have selected jobs for cross-training, work with the employee(s) who already perform the task to develop a job training outline and written training guides and aids. Experienced employees are the most knowledgeable about their jobs and should have a lot to contribute to your cross-training program. Sit down with those you are planning to cross-train and explain the reason for the training, what they will be learning, required standards of tasks they will be learning, etc. Answer questions about your cross-training program and ask for input from trainees. Schedule cross-training for times that are convenient for employees and production. Plan to cross-train several employees to perform each task so that you will always have someone available when necessary. You can perform cross-training yourself or delegate it to the employee already experienced in performing the task (which is probably the better option, given all your other duties). You will need to evaluate the learning yourself, however, checking that cross-trained employees are competent to perform new duties. Provide refresher training from time to time if cross-training duties are not used frequently. How Can You Maintain and Improve Your Cross-Training Program? Look for cross-training opportunities whenever there are changes in staffing, equipment, procedures, workflow, scheduling, etc. Encourage employees to suggest ideas for cross-training. Cross-train new employees, but only after they’ve had a chance to master their own job. Make sure you give all employees an opportunity to participate in your cross-training program. When we asked our editors for a system that trains in a minimum amount of time with maximum effect, they came back with BLR’s unique 10-Minute HR Trainer.